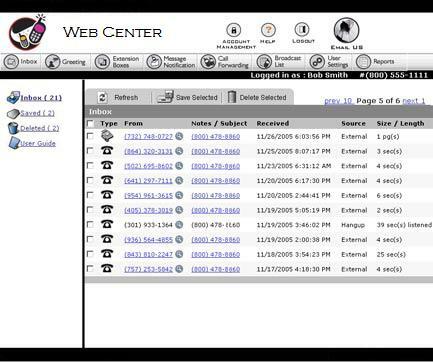 Web Center is what we call our entire Online Management System. Every Unlimited Voicemail Plan user has 24/7 online access to this system. Almost every feature of Unlimited Voicemail Plan can be managed through this online interface. Voicemail Web Center. Almost every feature of Unlimited Voicemail Plan can be managed through this online interface.